Azada is the title well known among those who've been in the genre for a while. Azada: Elementa Collector's Edition is a new release and it seems to be a bit different from what you would expect from the series. The game play is quite strong here as it usually is in the Azada series. This time around you happened to be the one chosen for a special mission (yeah sounds unique, but we all know how oftn we are the one in these games). This unique world is in danger after the special elements have been stolen. You are to save the world but you need to be careful on your journey because there is an adversary to stand against you. The graphics are all mystical and crisp creating this world far from reality. The sounds and music are okay. And there are voice overs to make it sound more realistic. The game play is quite strong here as it usually is in the Azada series. 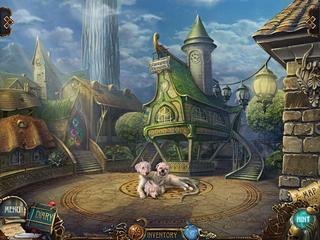 There are some hidden object levels that are quite challenging, but you can always use the hint if you need. The mini-games are fun and innovative with a decent level of difficulty. The one thing that was a bit surprising is how you can have a pet with changable body parts. As you collect coins you can buy clothes for the pet (it kind of doesn't fit the series spirit or is it just me?). Anyways, the navigation is very easily done through a map. The game is quite enjoyable and also challenging. It might be a bit of a let down for some of the series fans but you will only find out if you try it for yourself. 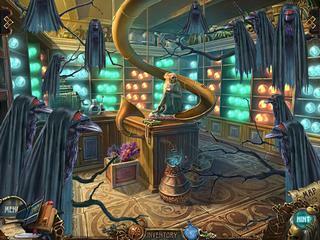 This is Azada: Elementa Collector's Edition review. Download this game here.